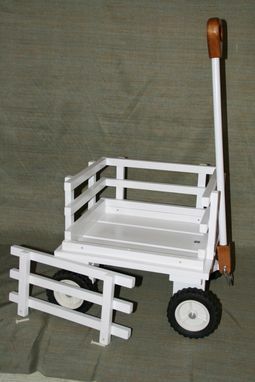 Classy Wagon For Wedding Ceremony Or Play. Select Hardwoods. Can Be Finished Or Unfinished. Beautiful little wagon all dressed up and ready to roll! This particular wagon was built to carry very precious cargo for a wedding ceremony. A combination of select soft and hardwoods, decked out and detailed in hand polished high gloss white, clear coated for protection and durability. 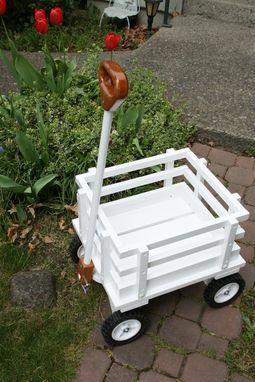 The handle includes natural hardwood finished in multiple coats of hand polished high gloss clear to bring out a classy touch of contrast to the otherwise all white wagon. Stake bed sides are all easily removable. Add or remove one or more quickly and easily as needed. 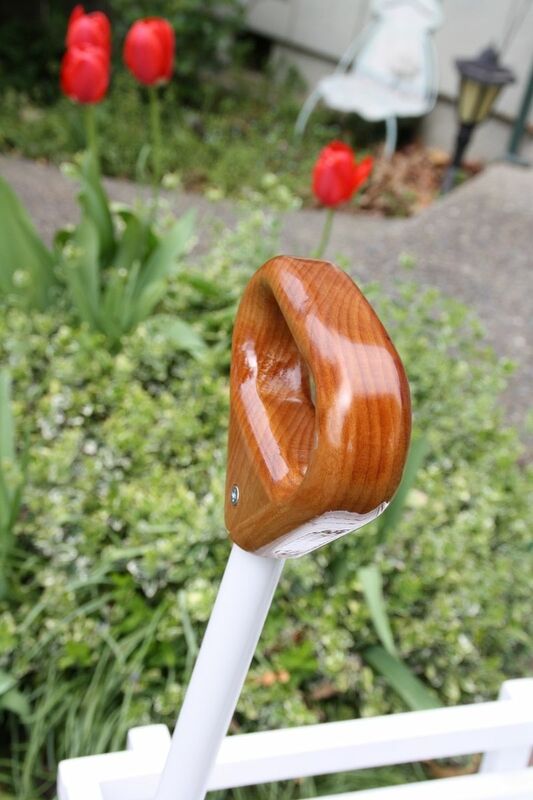 The classy handle is detachable via a quick disconnect clip. 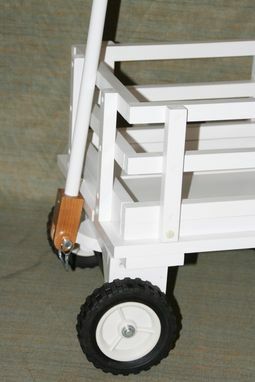 Remove the handle for easy transport or storage of the wagon. 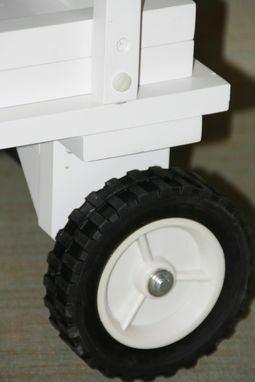 Solid rubber wheels wrapped around clear coated solid steal axles will keep this cool ride rolling in style! •	Size or dimensions can be adjusted to suit your needs. 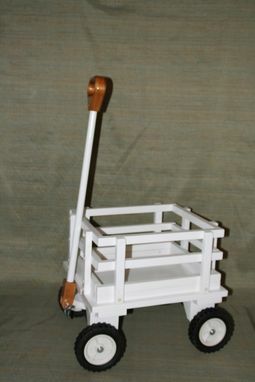 •	Basic model comes unfinished, highly sanded, and completely assembled (sides and handle detached for shipping). This model will come ready for you to add your own personal touch in finish and color, allowing you to pour into it priceless personal heart and soul! •	Finished model comes in your choice of colors and finishes. Every maker has a story. Be a part of Sandman Woodworks's story by placing an order, leaving a review, and seeing your review appear here.